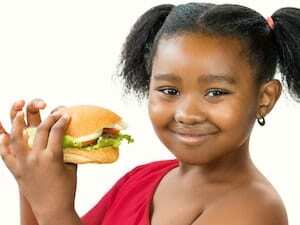 TUESDAY, Jan. 15, 2019 (HealthDay News) — Nearly all TV food ads aimed at Hispanic and black children in the United States are for unhealthy products, a new report claims. “Food companies have introduced healthier products and established corporate responsibility programs to support health and wellness among their customers, but this study shows that they continue to spend 8 of 10 TV advertising dollars on fast food, candy, sugary drinks and unhealthy snacks, with even more advertising for these products targeted to black and Hispanic youth,” report lead author Jennifer Harris said in a University of Connecticut news release. In the report released Tuesday, researchers analyzed advertising by 32 major restaurant, food and beverage companies that spent at least $100 million or more on advertising to U.S. children and teens in 2017. They were part of the Children’s Food and Beverage Advertising Initiative, a voluntary program that sets standards for food advertising aimed at children younger than 12. The American Academy of Pediatrics has more on children’s nutrition.